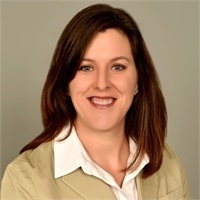 Katie Casey-Macias holds a Master of Social Work degree and passed the CFP ® Exam in March of 2016; she is currently pursuing the experience requirement to gain the CERTIFIED FINANCIAL PLANNER ™ designation. Katie has overseas diplomatic experience and prior financial planning support in the Washington, DC area. Katie hails from Montana, but is happy to call Texas home after moving around the country and world as a military spouse. She is the mother of three young children and enjoys following their school and extracurricular activities. Katie’s role is to provide service for Eric Weissgarber’s clients. Her background in social work and considerable education achievement allow her to have a keen awareness of details and empathy.